FT. LAUDERDALE, Fla. — SportsCenter anchor, Chris Berman, spoke in May to the students in a “fireside chat” setting before his announced appearance at the Broward Center for the Performing Arts, which wrapped up the school’s 2015 speaker series that started in January. Some of the topics Berman covered were career goals, Tom Brady, the growth of ESPN and the top five quarterbacks in National Football League history. Source: Sun Sentinel. Students and faculty asked Berman questions about his life and experiences during his visit, which was moderated by Willis Holcombe Center Associate Dean of Academics Thomas Nguyen. To view the full article from Sun Sentinel and excerpts of Berman’s time with the students, click here. The questions and answers have been edited for clarity. SportsCenter anchor, Chris Berman, was hired by ESPN in October 1979. For the next quarter century and running, Berman has become one of America’s most respected, popular, and in many ways, most beloved sportscasters of his era. 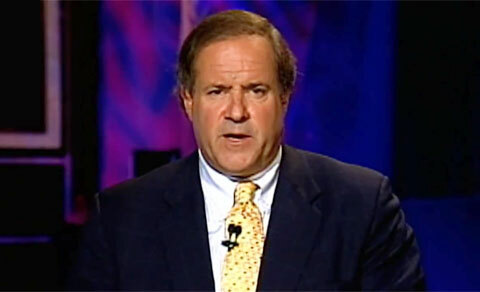 Berman is best known for his signature delivery of highlights of every sport, most notably on NFL Sundays. He anchors SportsCenter, Monday Night Countdown, Sunday NFL Countdown, Baseball Tonight, U.S. Open golf, the Stanley Cup Finals and other programming on ESPN and ABC Sports. With his trademark combination of genuine enthusiasm, knowledge and wit, he has come to embody ESPN in its dedication to entertaining and informing sports fans across the country. Playing Field Promotions is a booking agent for motivational sports speakers and celebrities. If you would like to book professional athletes or sportscasters like Chris Berman for a speaking engagement, personal appearance or special event, you can request Chris Berman’s agent and speaker information from PFP Sports & Celebrity Talent or call 800.966.1380.